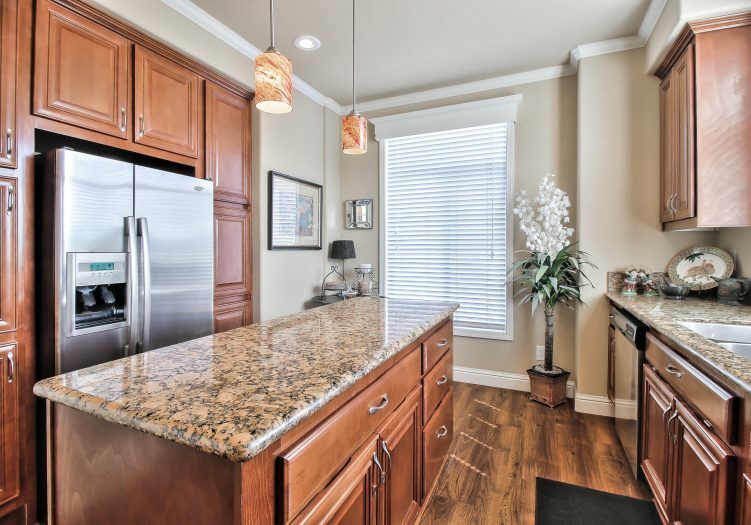 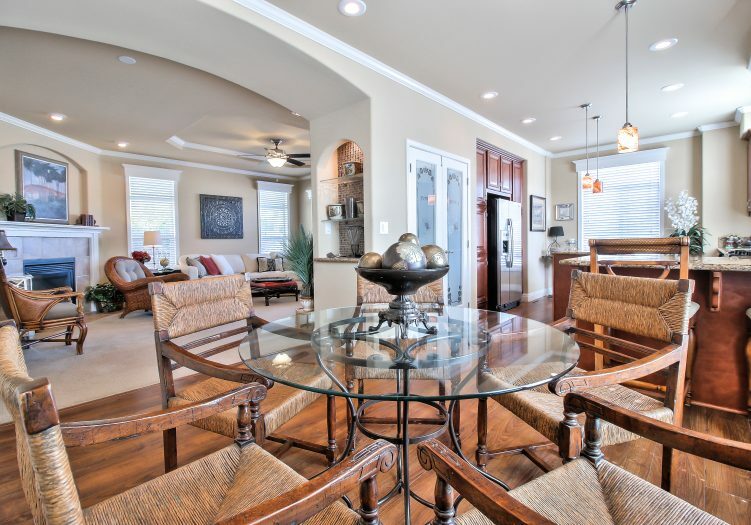 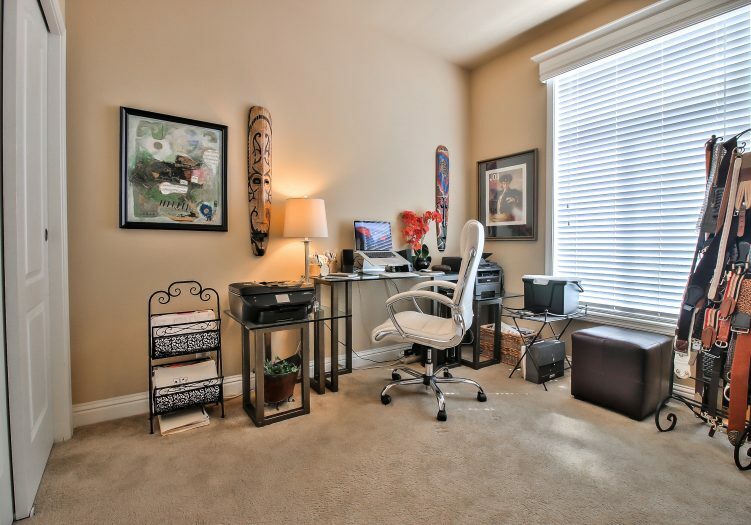 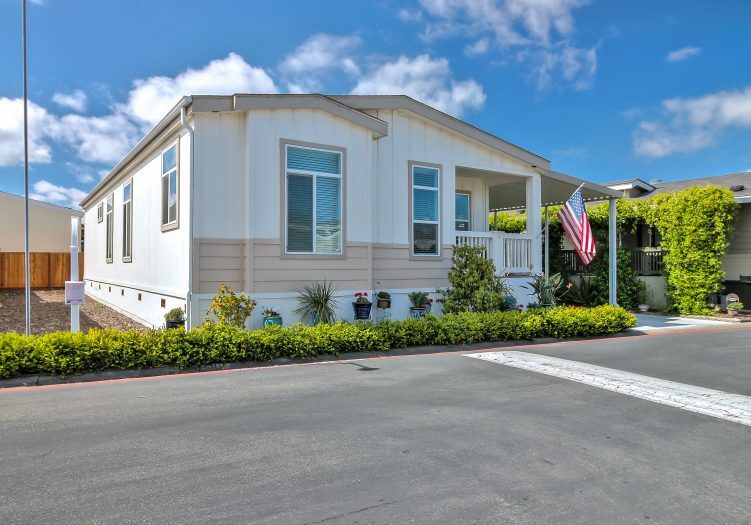 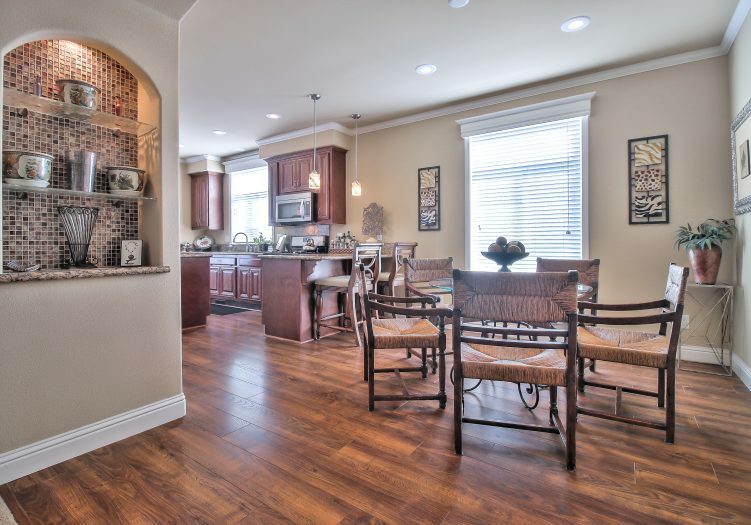 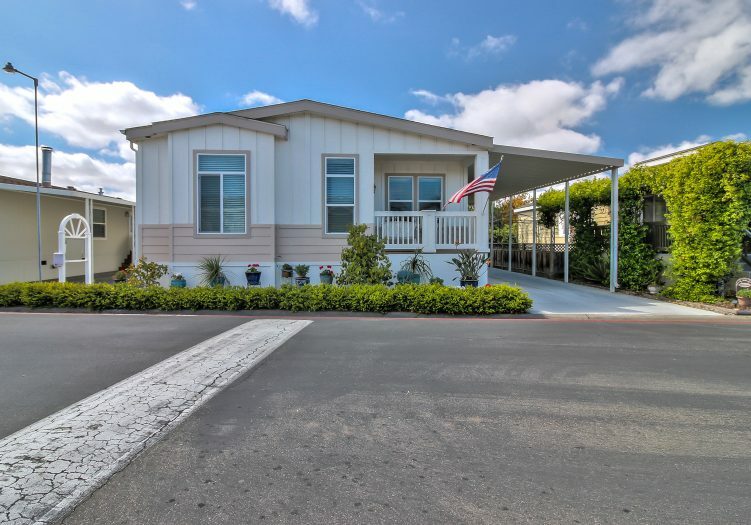 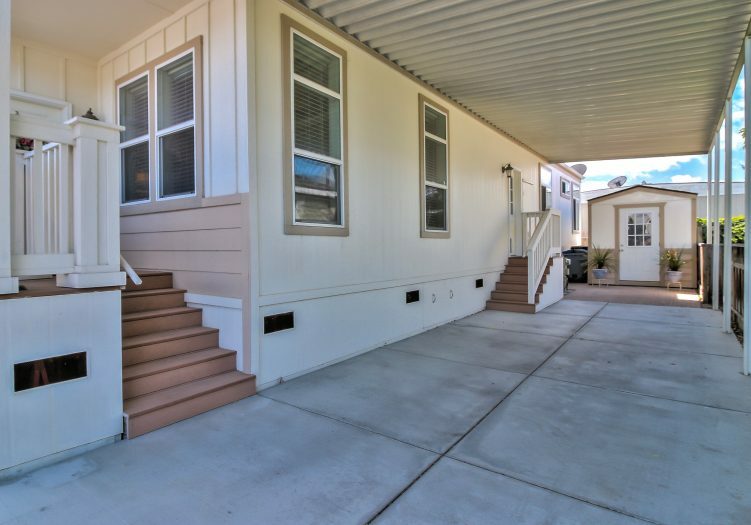 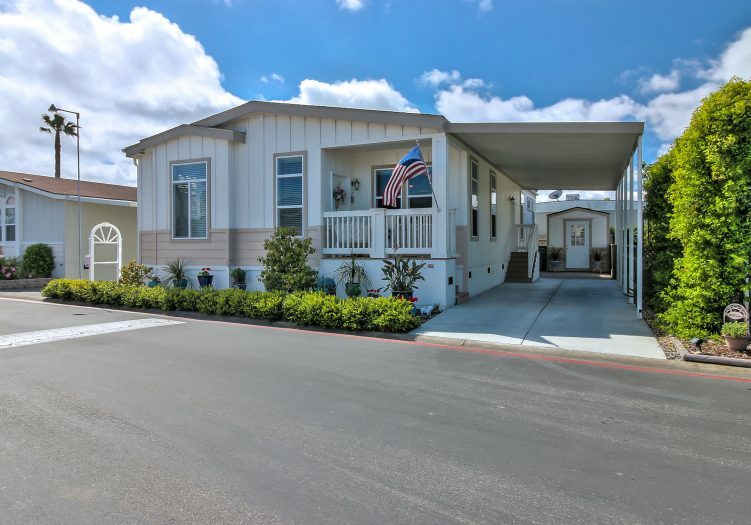 Situated in Sunnyvale's highly sought-after family community of Casa De Amigos, this 3 bedroom, 2 bath home offers the perfect blend of luxury and sophistication. 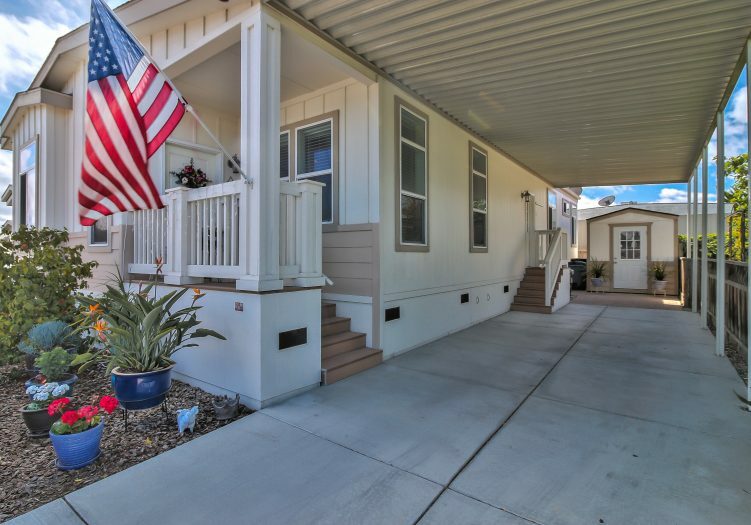 This home's alluring curb appeal is highlighted by mature landscaping that includes a lush shrubs and many potted plants. 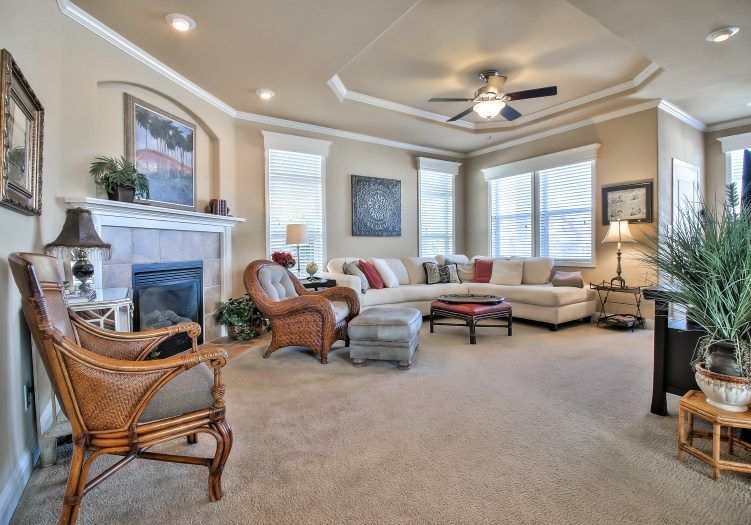 Inside, make your way to the large living room featuring plush carpets throughout, tray ceilings with a fan, crown molding, recessed lights, a corner gas fireplace with tile surround, and dual pane windows that provide plenty of natural light. 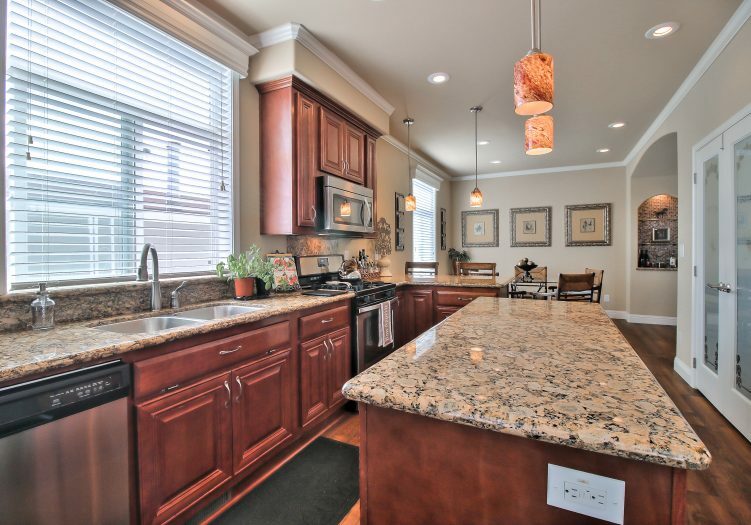 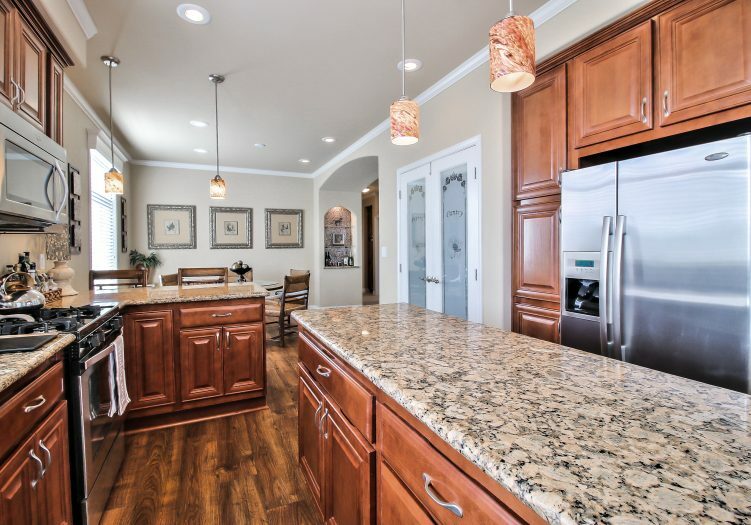 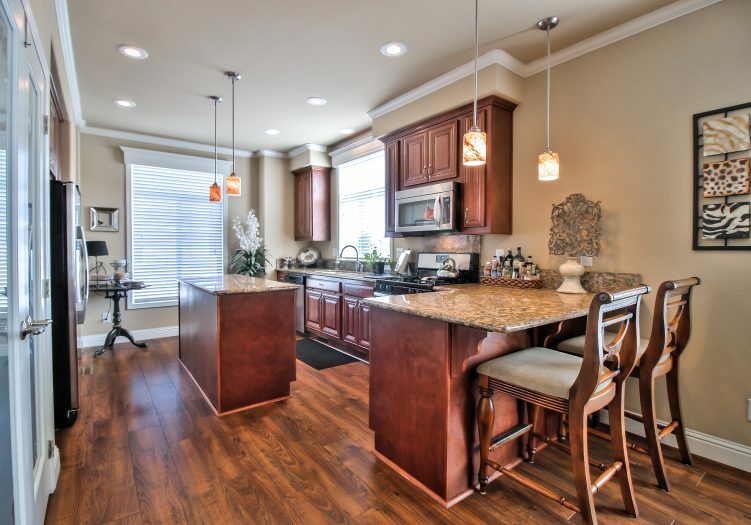 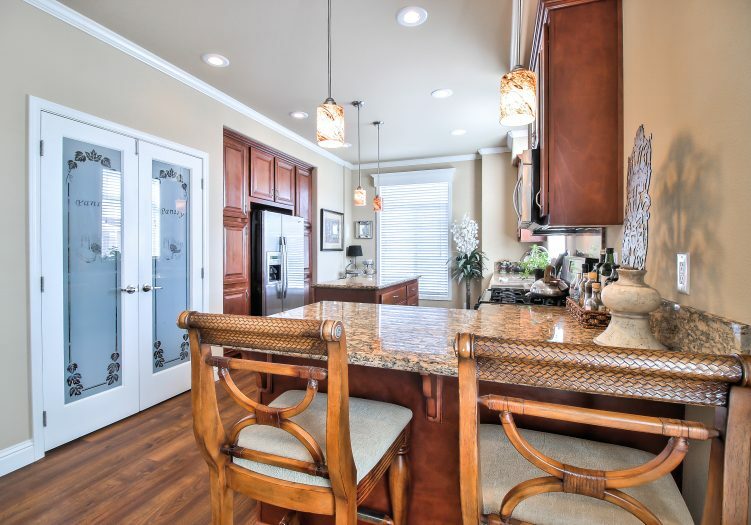 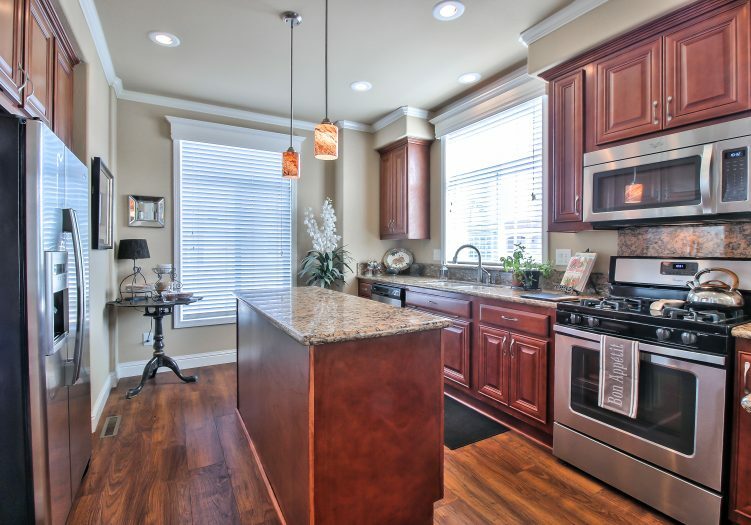 Peer through the gourmet kitchen and notice the wood laminate floors, stainless steel appliances, kitchen island, a large double door pantry, granite counters with a breakfast bar, and high-end wood cabinetry. 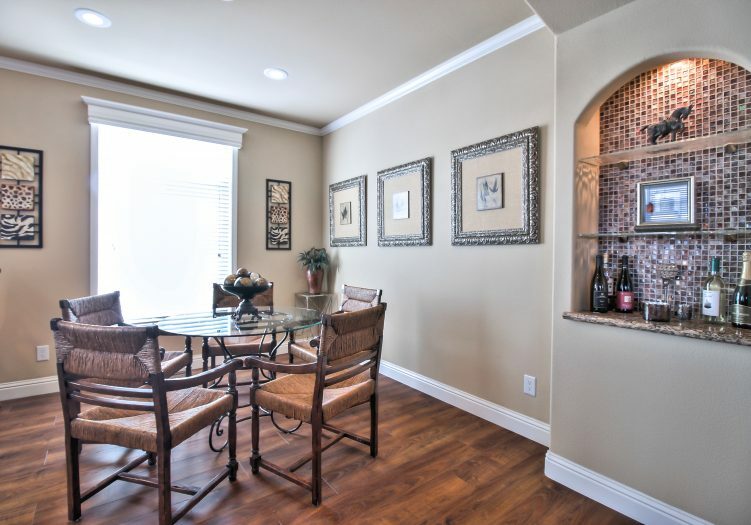 There is also a unique wall niche in the dining area, that is perfect for displaying wine bottles, vases, and cookbooks. 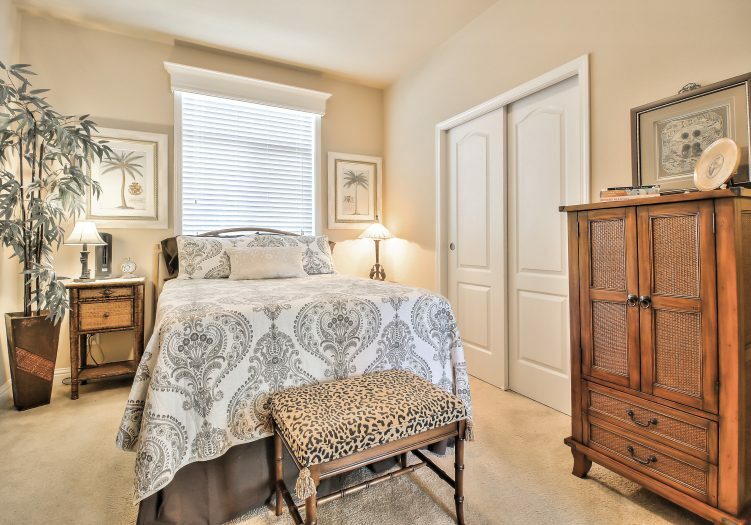 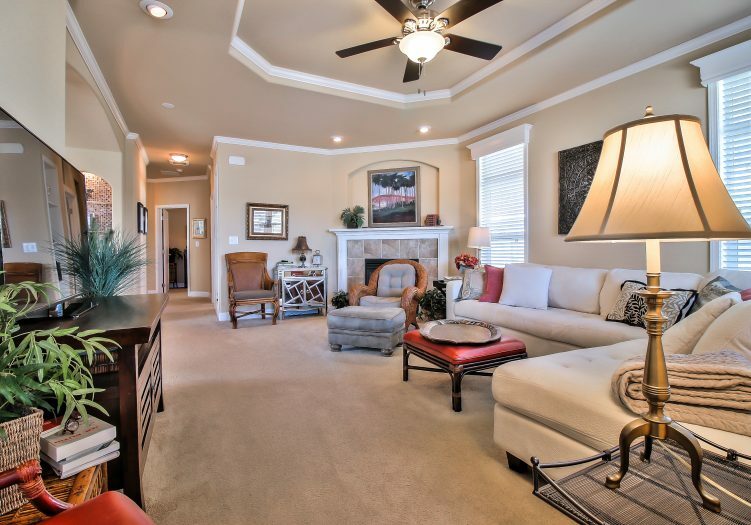 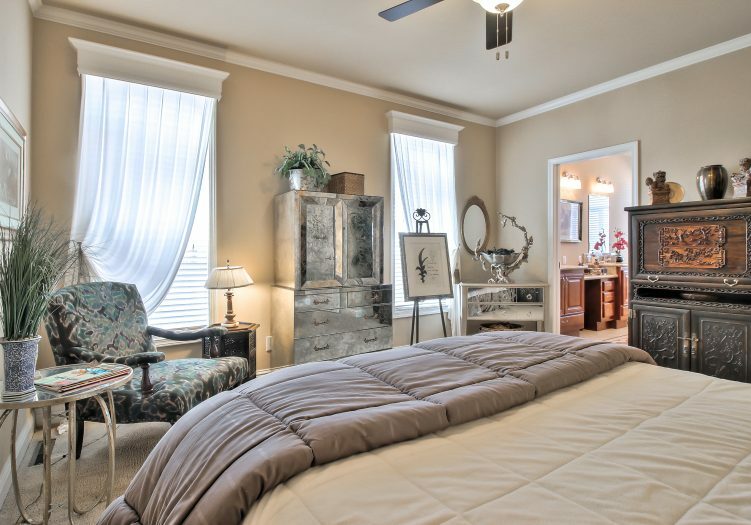 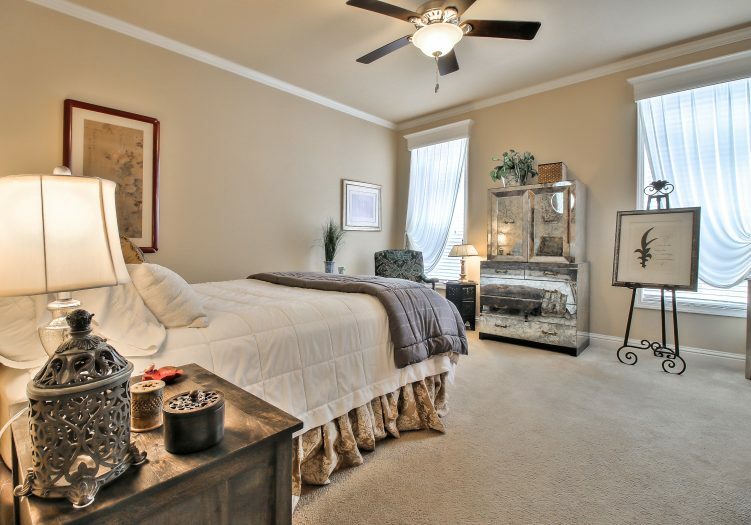 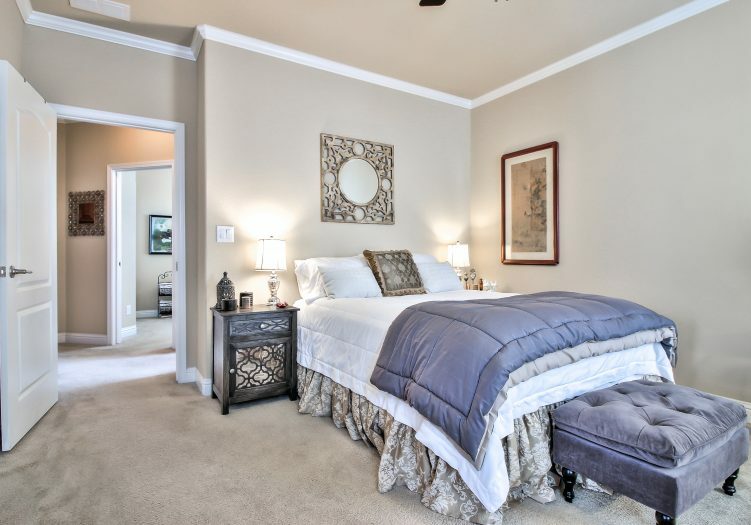 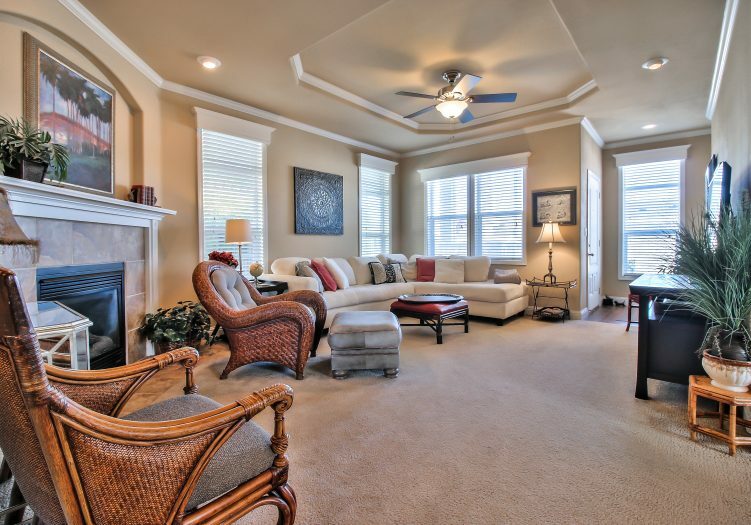 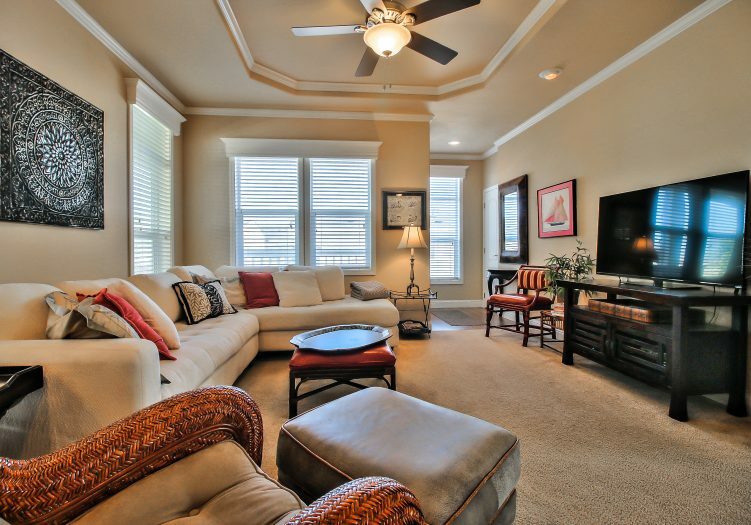 The spacious master suite showcases crown molding, a ceiling fan, and large windows. 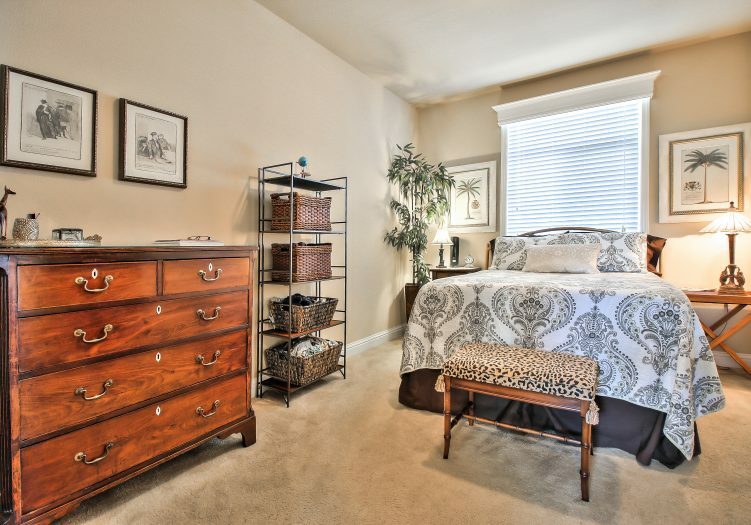 The walk-in closet is large enough for more than one wardrobe. 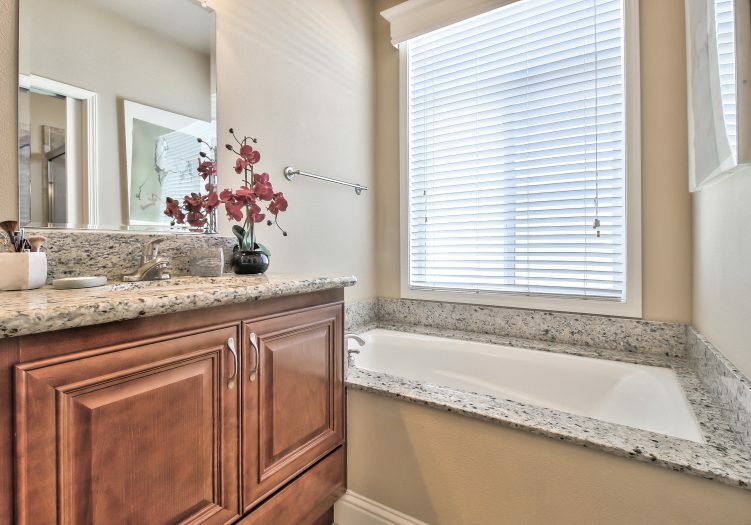 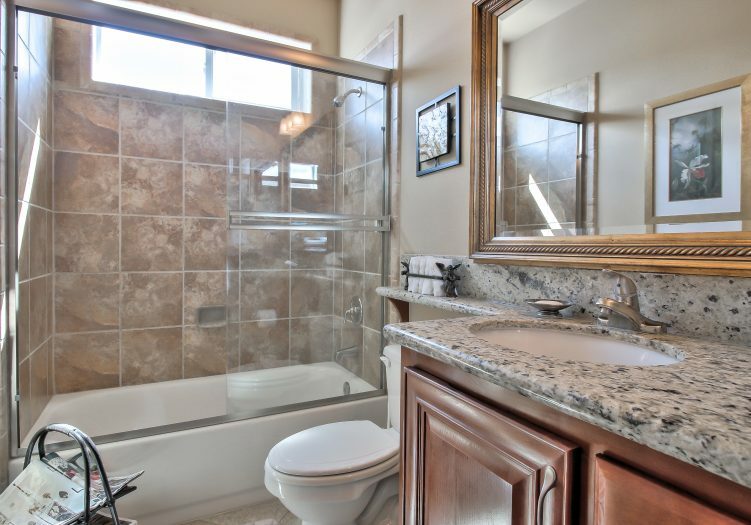 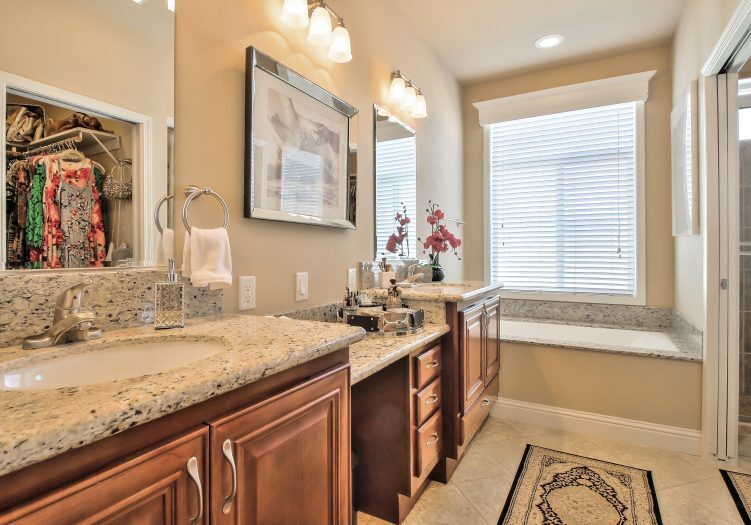 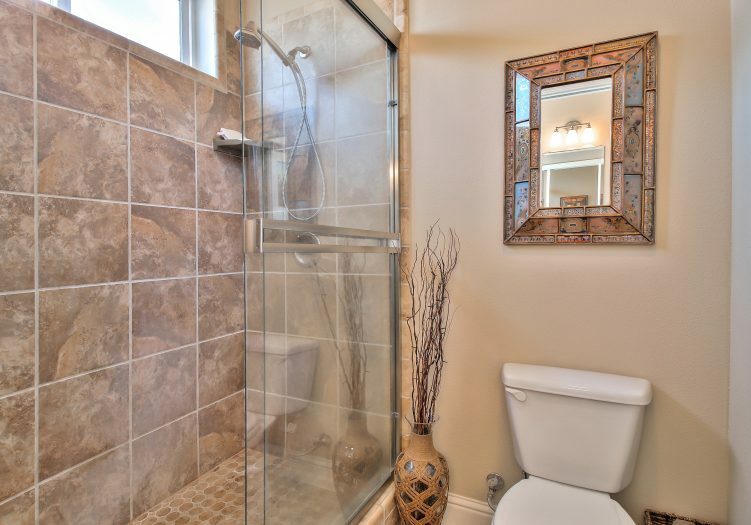 The master bathroom offers linoleum floors, his and her sinks with granite counters, a platform tub, and a walk-in tile shower with glass enclosure. 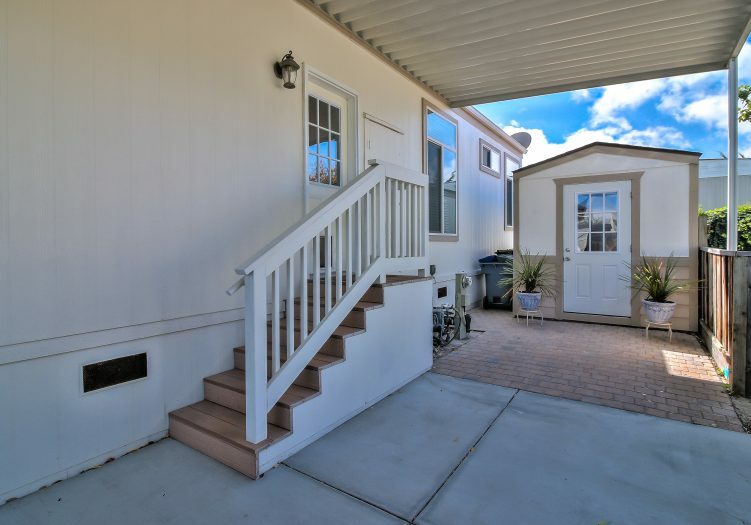 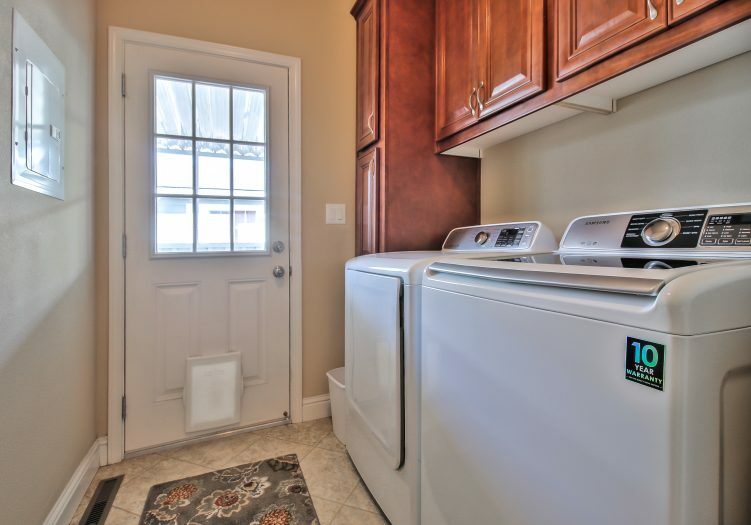 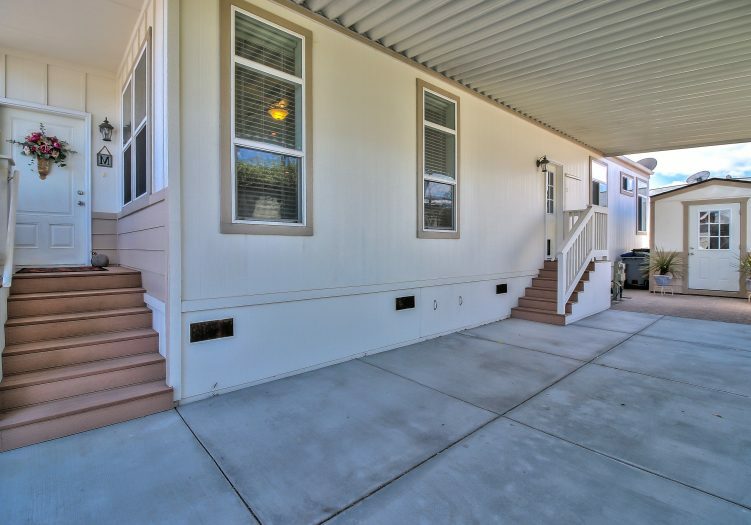 The washer, dryer, and large shed are also included with this sale.